Thank you to all those that attended the SUBMERGE Marine Science Festival! Your energy, creative activities, and dynamic science outreach made it an incredibly enriching experience for attendees. It was the biggest SUBMERGE event to date, with over 8,500 people this year attending. Families learned about why turtles and tortoises are important and our conservation efforts to protect them. 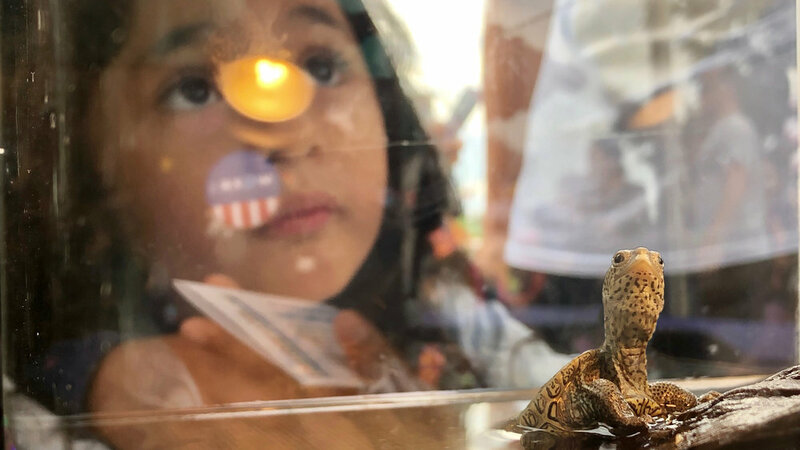 They got to hear turtle talks by our resident experts, feed tortoises, and learn about native turtles to the Hudson River - Diamondback terrapins and Snapping Turtles! The event was the first time many New Yorkers got to see turtles up close. If you missed out, don’t worry! Please join us for “Release the Fishes Day” at the River Project on Pier 40 on November 8th. Families will be able to release fish and invertebrates from the wet lab back into the Hudson River. They also can meet our group of rescue Diamondback Terrapins currently on display!